Though it was about time my project bert had his own diary type thread, and the original introduction thread below dosn't seem like the right place. A little bit of a catch up on his history. This is Bert. 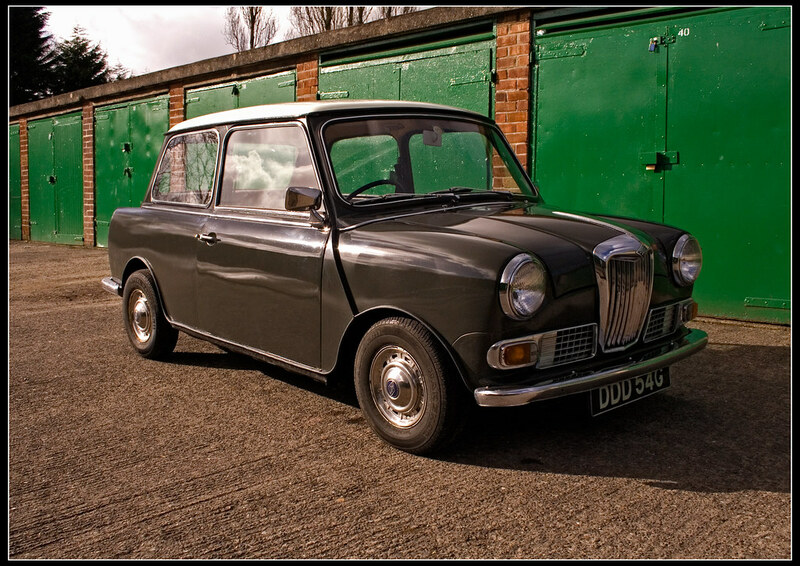 Bert is named after the gentleman that sold it to me, a gentleman that had spent many hours looking after him. 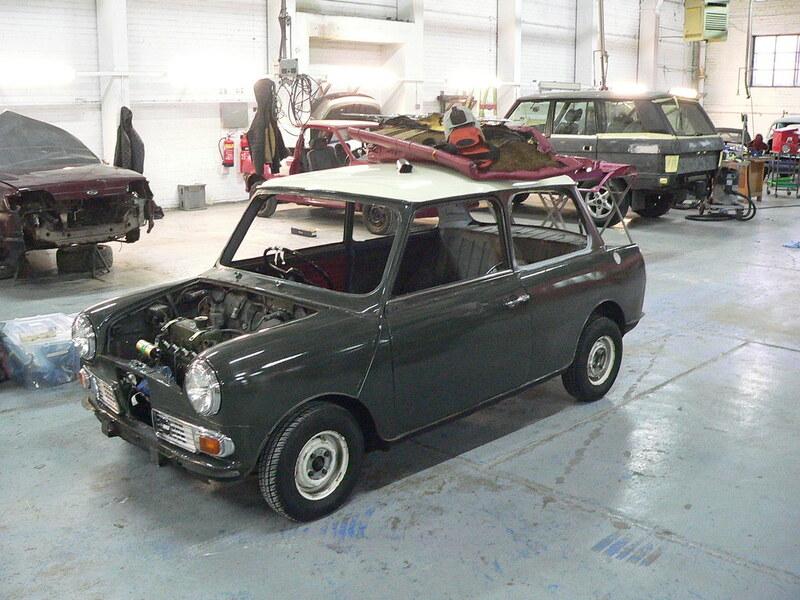 Bert is a 1969 Mk3 Riley Elf in Yukon Grey. 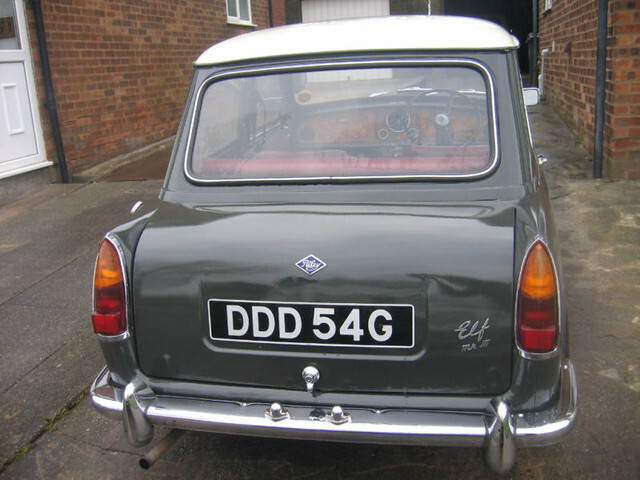 He originates from the Gloucestershire area, and was registered in January 1969. From the pile of receipts that came with him he certainly spent the period 1997 to 2006 in and around his birthplace, with a brief stay in Wiltshire. I am owner number 11 but then again he is 42 years old. 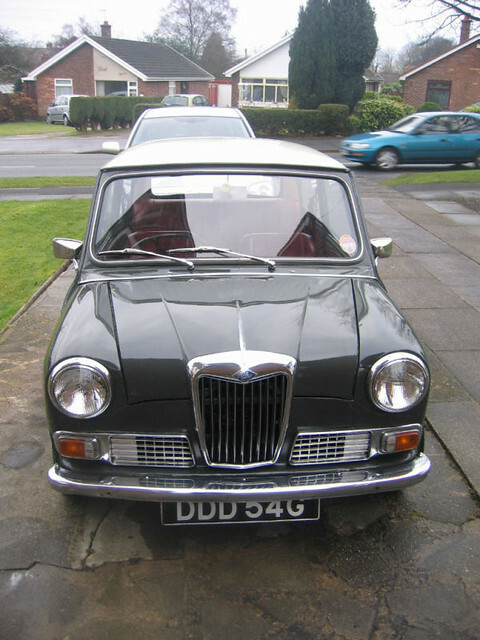 For 3 years before we bought him he was living in Leyland where he received a pragmatic resto from his previous owner, the aforementioned Bert. As far as I can tell he was pretty standard with the exception of dry cone suspension, negative earth alterator, and electric windscreen washer pump. Mileage wise he displays 54k, and the pile of receipts back to 1996 show this to be correct for this engine which judging by the number is a later Mini engine. On the road he drives really well. The engine is lively given it's a standard 998cc, and the gearbox is really smooth. 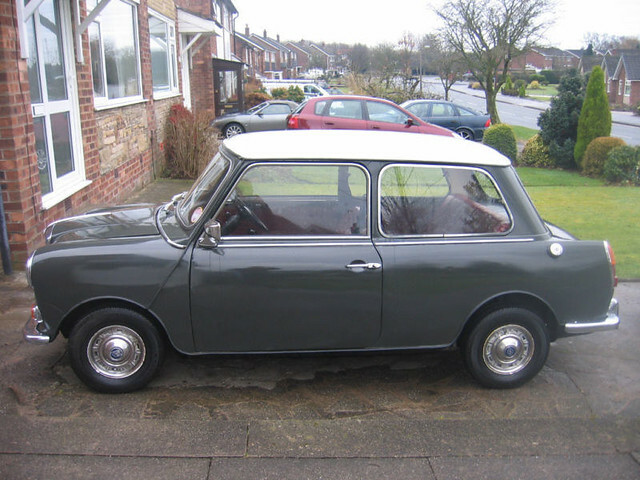 The only scary bit is the standard drum brakes, but you soon get used to them It is amazing how much lighter Bert is than our 1995 Mini which is running 12" wheels. On the motorway cruising at 60 was very easy, even 70 seems good but I won't be making too much of a habit of that. 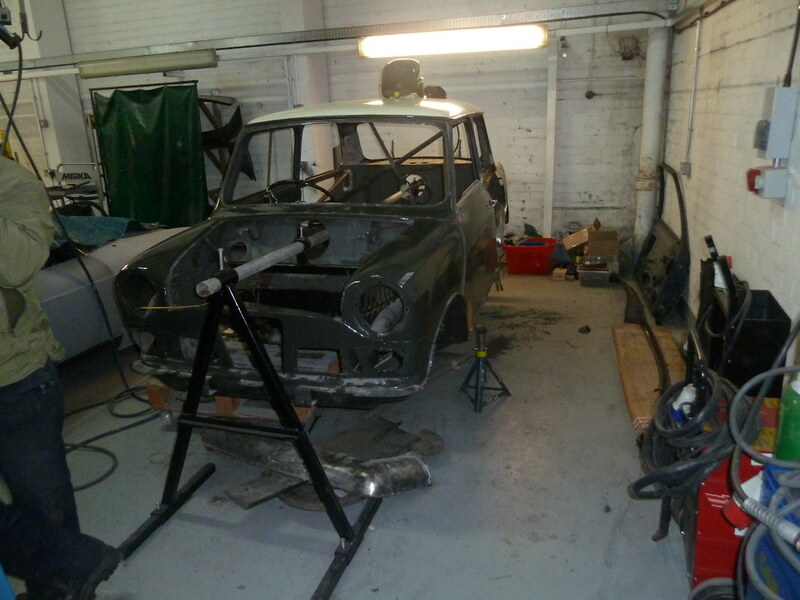 Bodywork wise Bert appeared good, he'd had a new floorpan & sills, with the exception of the boot. 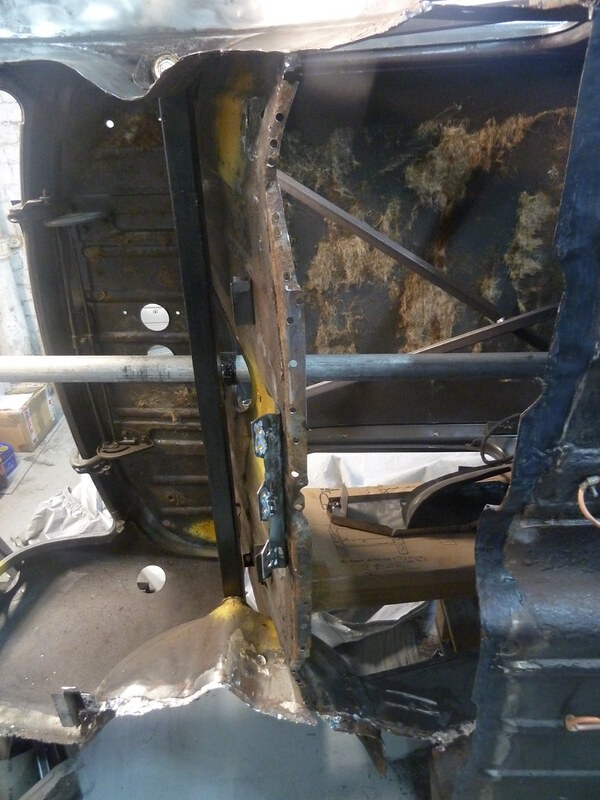 The front panel, wings, and A panels seemed to be good, but there was a slight rust stain running from one of the joints between the wing & front panel. 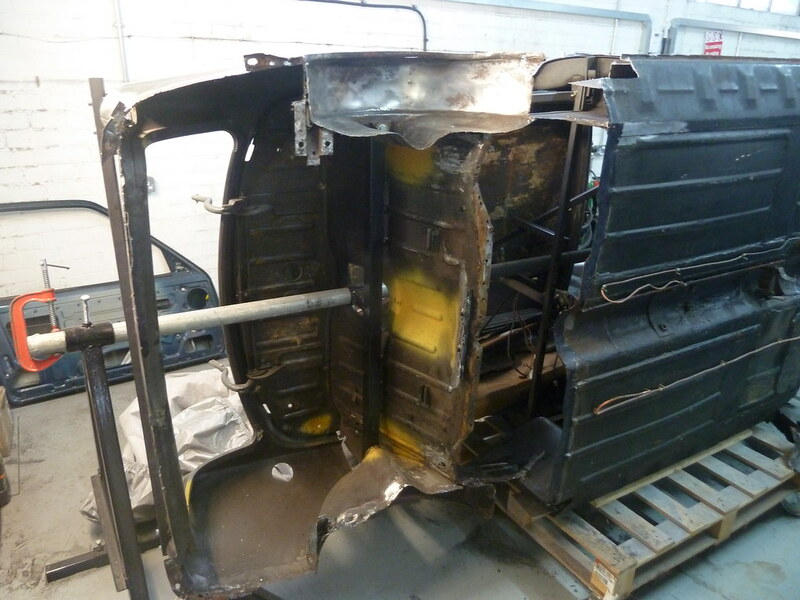 The paint was done in the previous owner's garage at home so wasn't concours but despite a little orange peel was good. 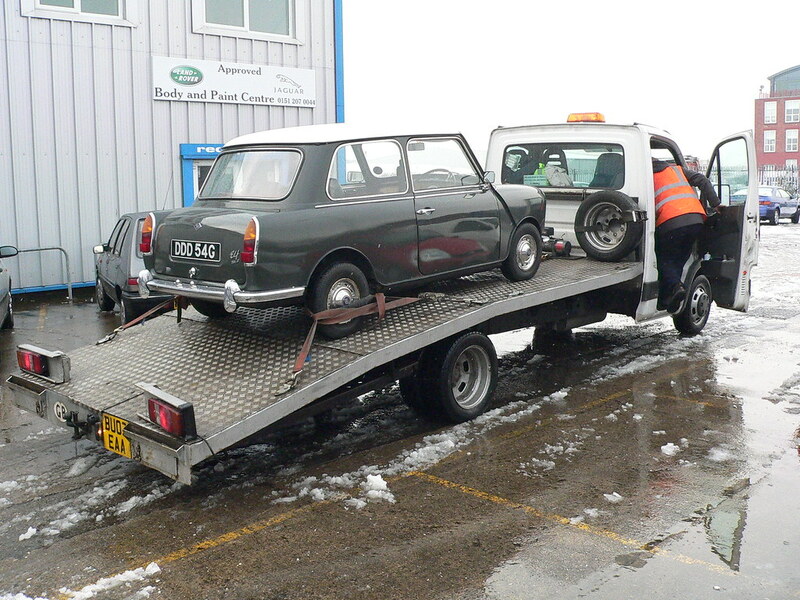 All in all Bert at purchase was a great, very tidy, useable classic Elf, especially for the price paid. A few more pics taken from the ad that we responded to. 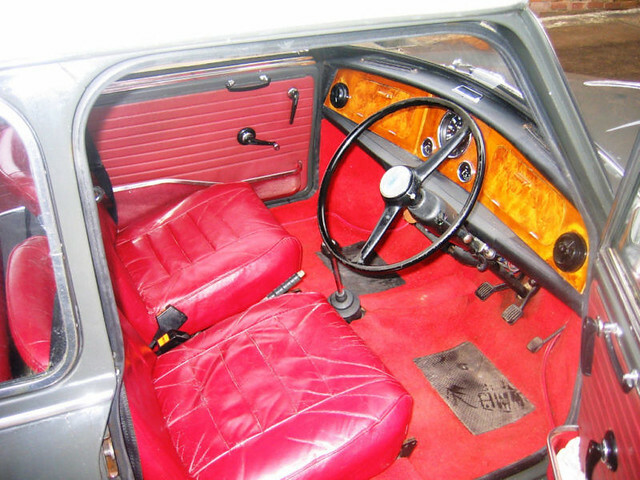 The red leather isn't as red as this pic suggests, it's more ox blood red. How's this for a handsome old guy? Bert was an accidental Ebay purchase; I was watching him with no intention of buying an hour or so before the auction ended. My fiancé at the time asked what I was looking at and when I showed her she fell in love with him, suggesting I should bid. Not needing to be told twice I put in a cheeky low bid and forgot about it, and to my surprise won him at a bargain price. 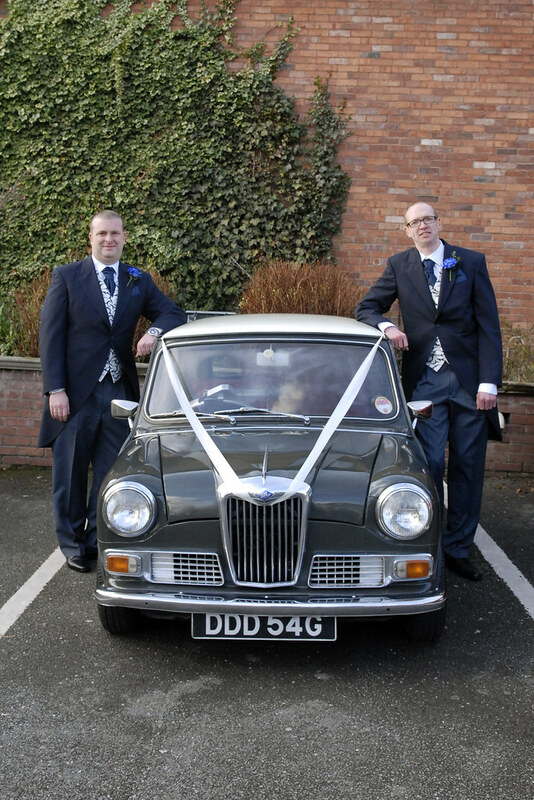 All of this happened two weeks before our wedding so I decided to change the plan to use our classic Mini as my wedding car and decided to use the Elf. The night before the wedding I set off to do the 60 miles to my parents, followed by the 40 miles to the wedding the morning after (this was either brave or stupid in a 42 year old car I'd bought just a few days before). 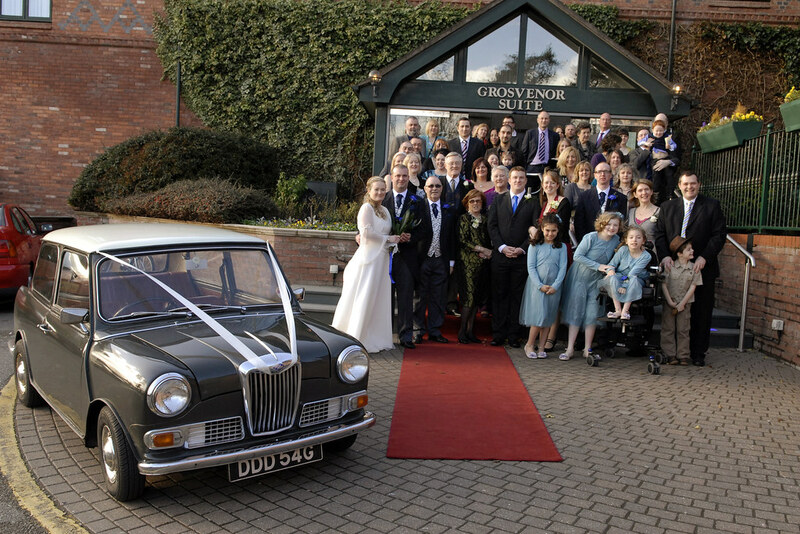 On the day the old fella scrubbed up well, and the car look great too. A lot of fun was had over the next year ago chugging around in the car, but with a family and no rear seat belts our use was restricted. 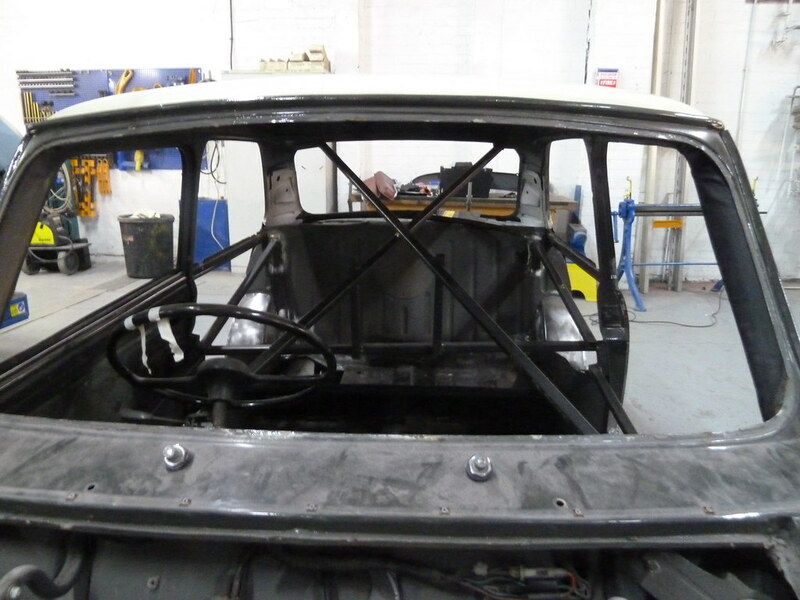 A plan was hatched to fit rear seat belts and seats with headrests, and this is where things started unravelling. 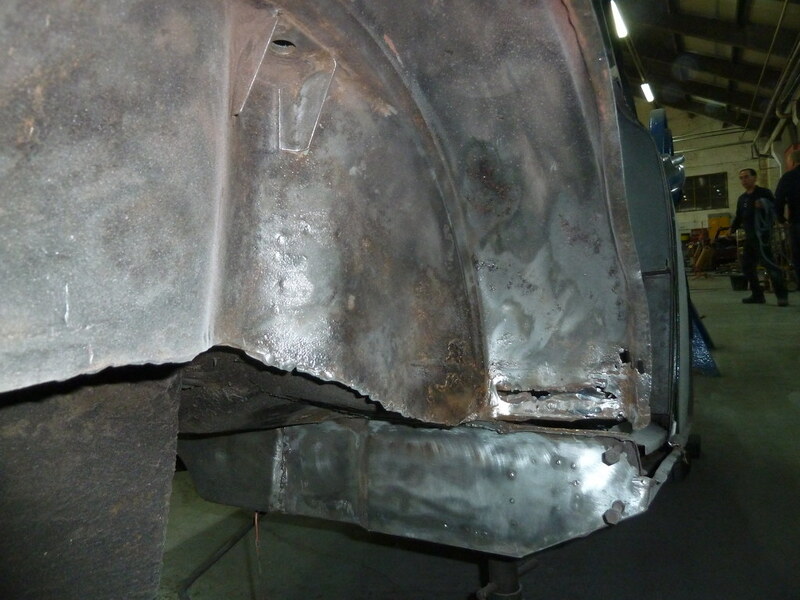 As I started the modifications I started coming across the not unexpected rust issues; in fairness the car was solid, it had passed it's MOT first time a week before I started, but I wasn't happy with some of the old repairs. 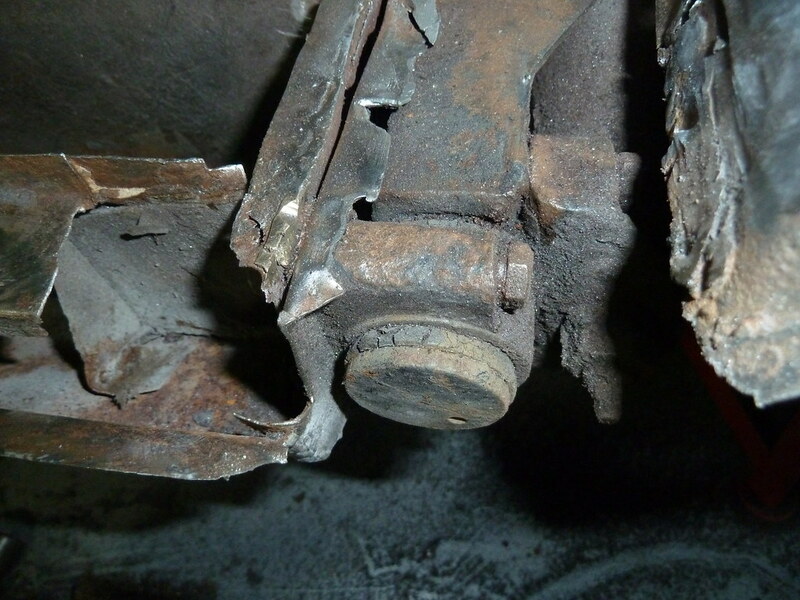 The boot floor, seat swab, wheels arches had all had MOT repairs done where rust had been sandwiched between two layers of new metal what a pointless waste of time. I decided if a job was going to be done then I was going to be a full on proper job; I decided to take Bert off the road and do a full resto. 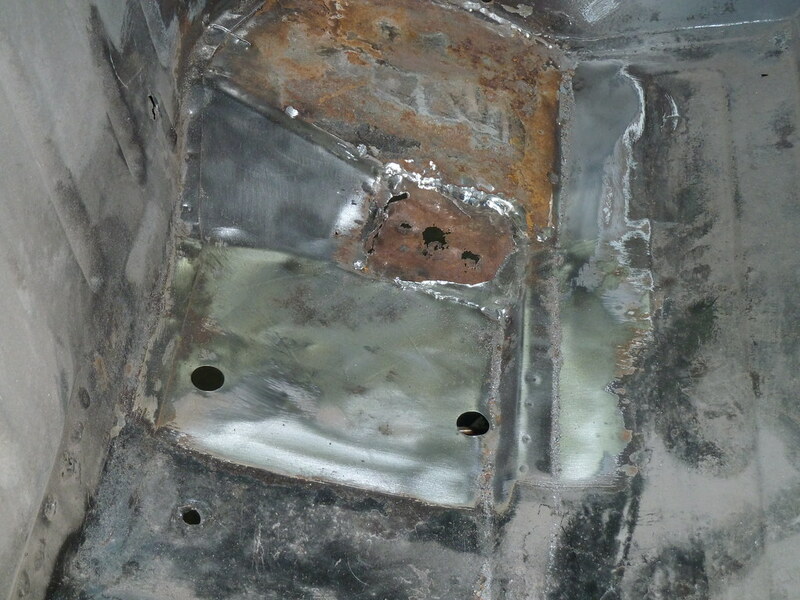 Rust was initially found in the rear roof cant rail and window sill under both side rear windows and in front of the rear arches. 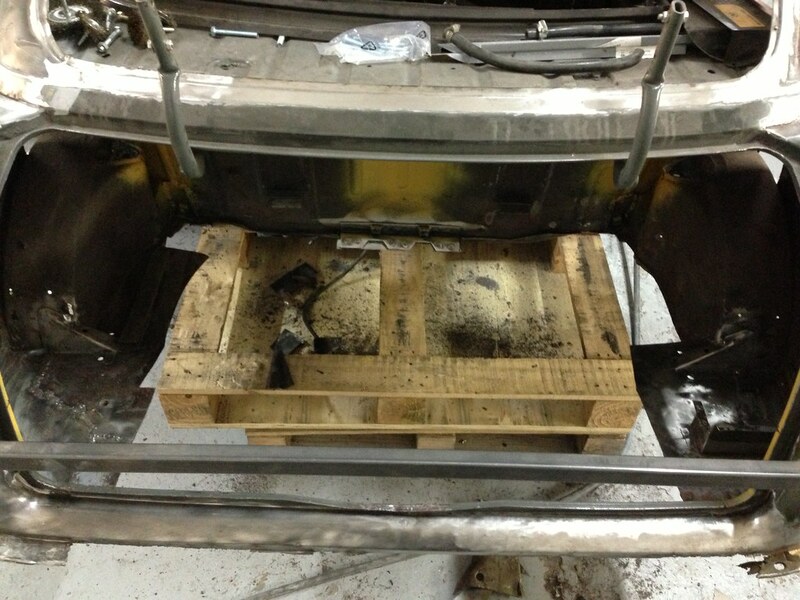 The decision was made to replace the rail and both rear quarters. 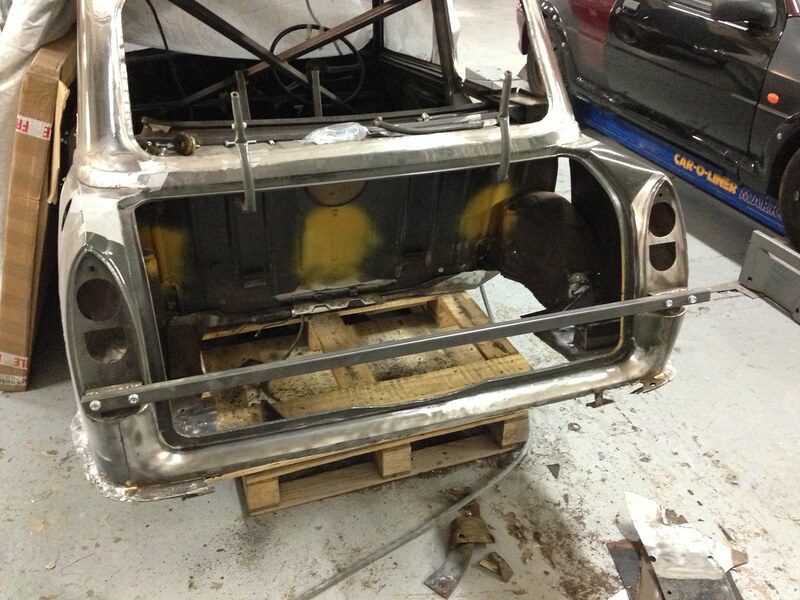 With the rear quarters are no longer available for the Elf so Mini items will be modified to fit. This little fella really is my pride and joy so hopefully the work won't take too long, although I do expect it to take far longer than I'd want. Very nice car... 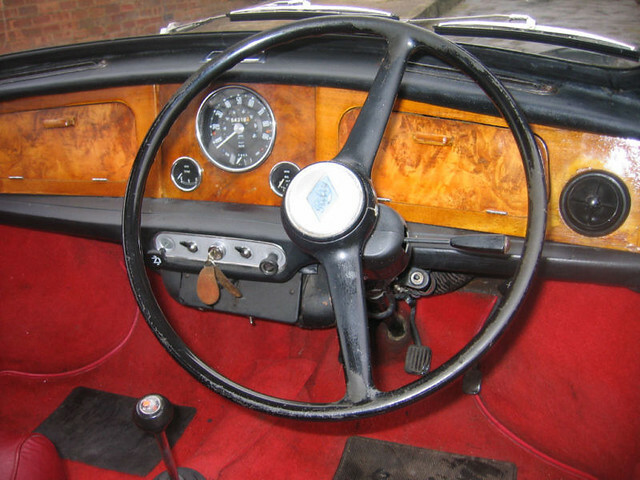 I wish my Riley would be in this condition. Nice car & story. Look forward to seeing it come along. Bit of an update. 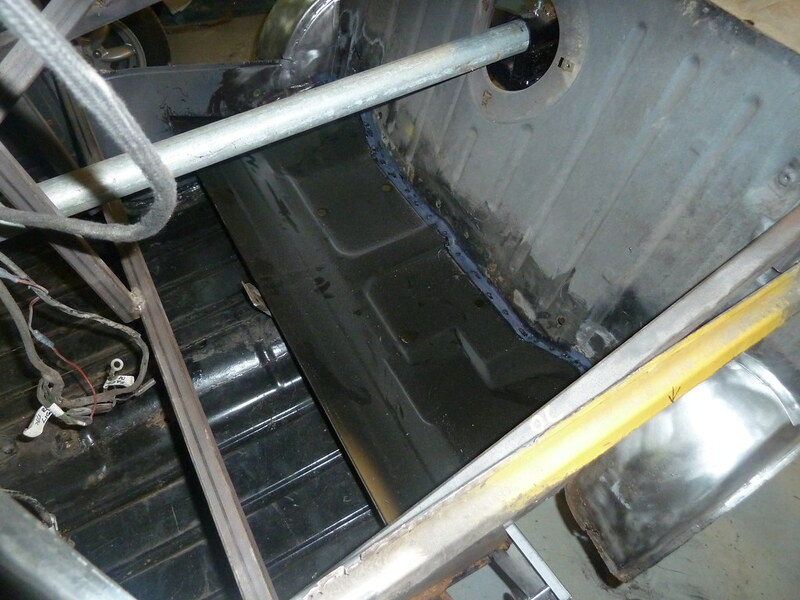 Boot floor & subframe mounting panel replacement ongoing. This is why. 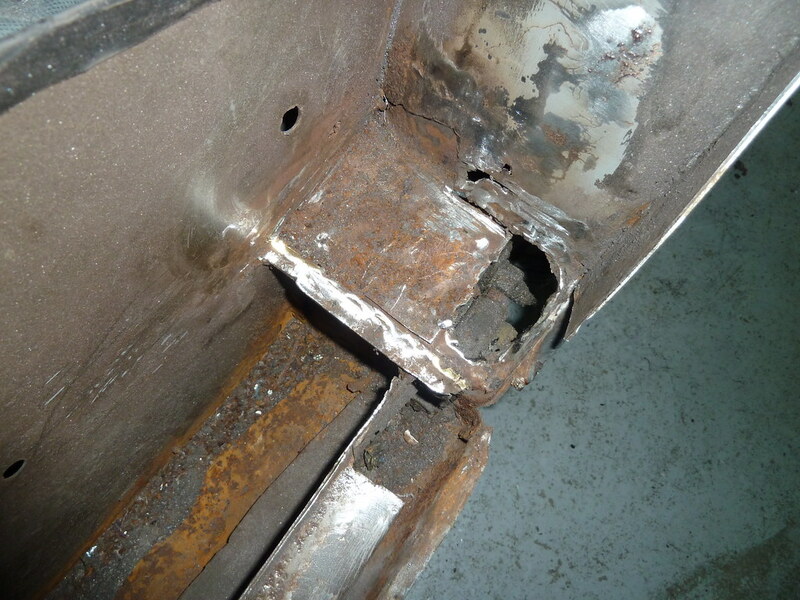 The subframe mounting panel looks solid, but has been botched, so needs to be sorted. The arches have had it, and the boot floor is patch on patch. 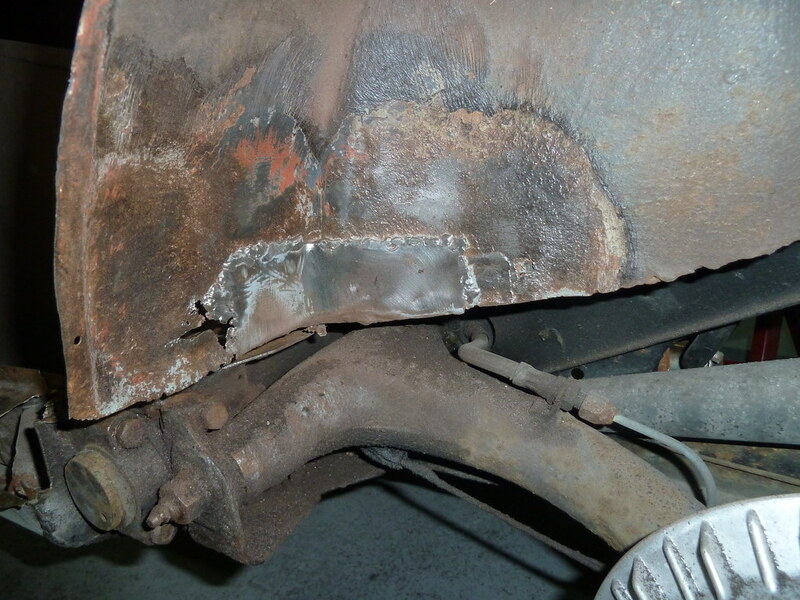 The valance, and the three layers that make up the bumper mounting seam are all rotten. Both sides of the car are the same. Then the cutting out began. 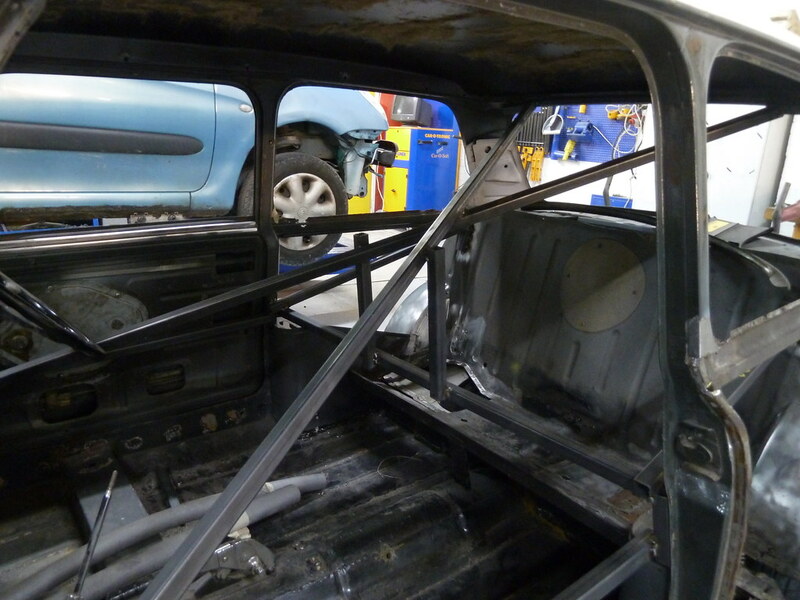 Plan is cut the boot floor & subframe mounting panel out, replace the both, then cut out the old arches and put in new. It's been a while and progress has been slow. Bert is in the workshop at the college where I'm doing my night course, so I only get access to him one evening a week. This has become a major hindrance as last year we were two evenings a week and progress was ok. Because Bert was in such a fragile state at the back in July I took the option of leaving him at the college over the summer break, the major drawback being that no progress would be made. Anyway first job once back was get Bert onto a spit. I bought this one off a TMF member for £80, best money I've spent on the resto so far, it's made everything so much easier. 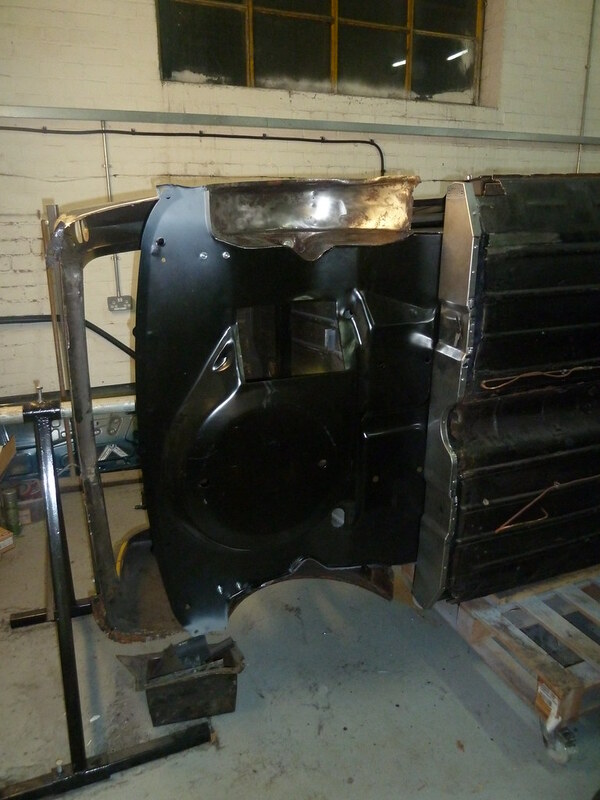 The bulk of the boot floor and heel board were cut out before the summer break so some trimming needed to be done to tidy the edges. 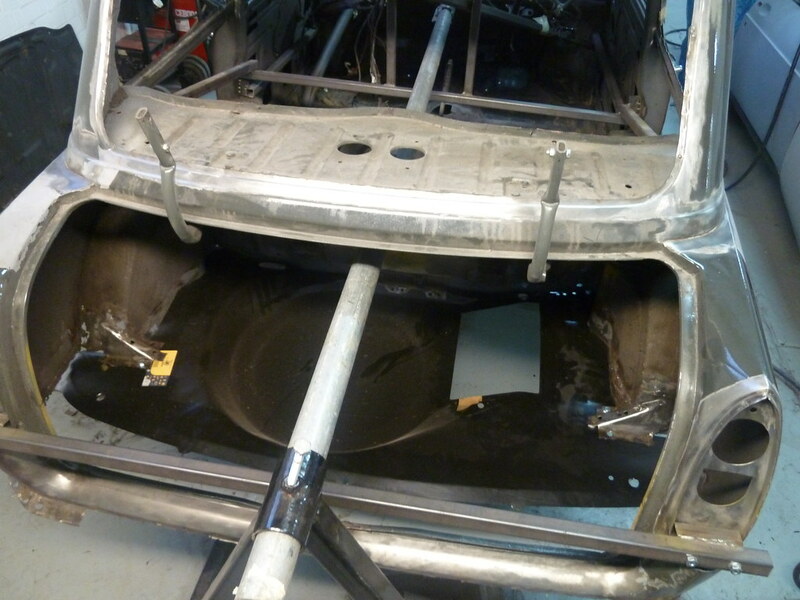 The floor is solid, but has more layers than an onion, so will be replaced, as will both rear wheel arches. 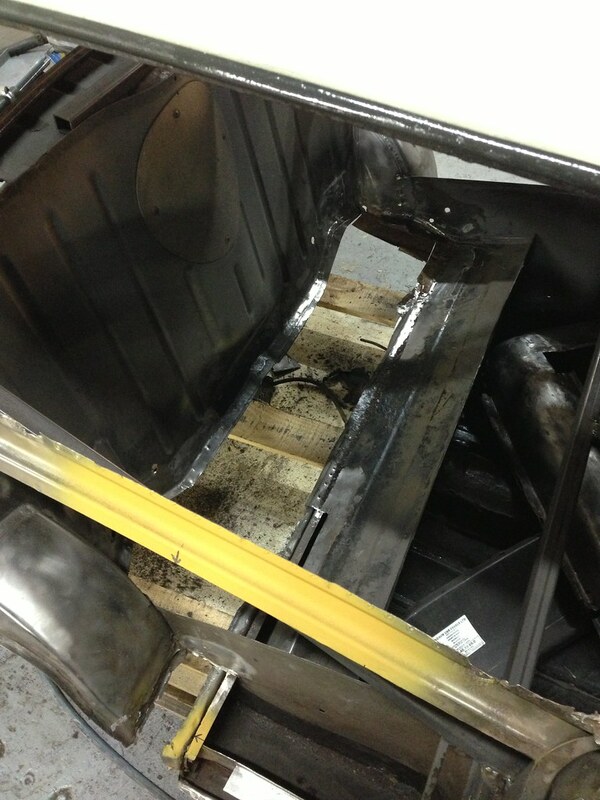 The plan is to put the heel board and boot floor in (minus the welding to the bits to be removed in the future). 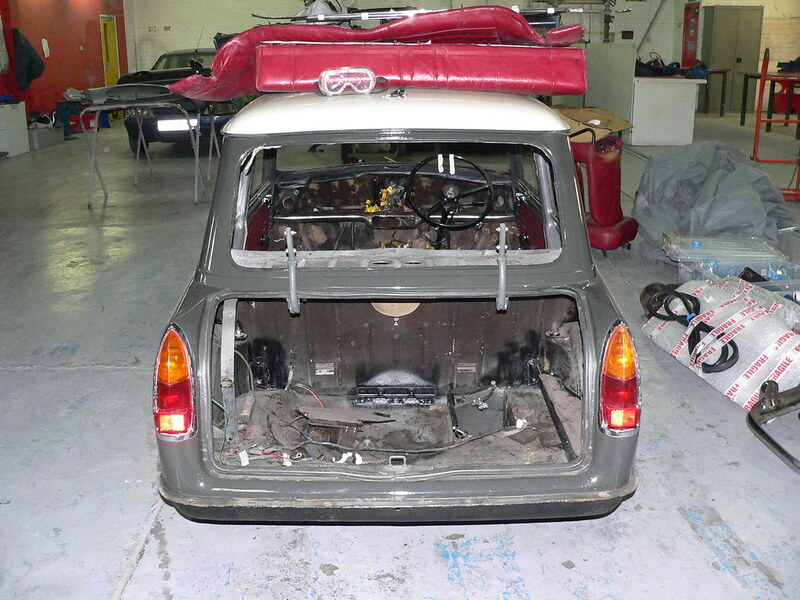 With these in I'll rebuild the rear corners, boot slam panel, valance and the likes to get strength back into the shell, before cutting the arches out. 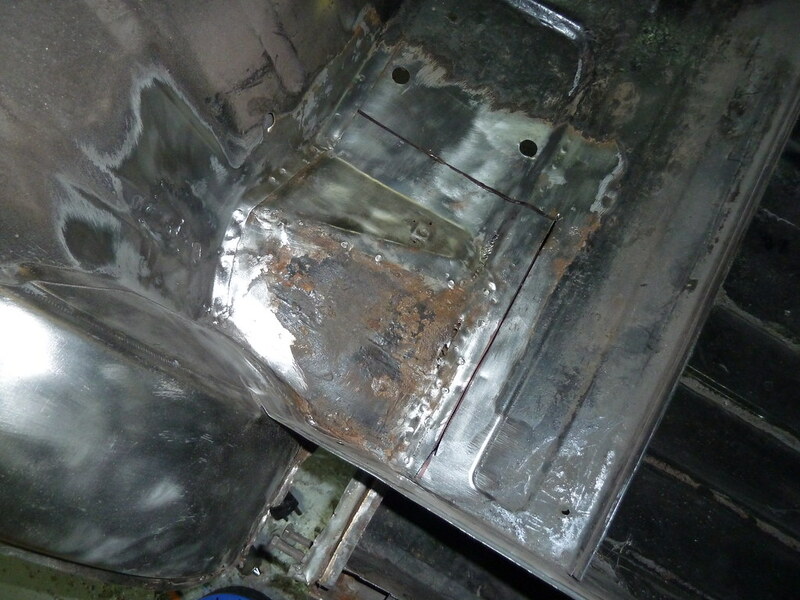 Managed to get the heel board and boot floor trial fitted and held in place with pop rivets and self tapping screws. 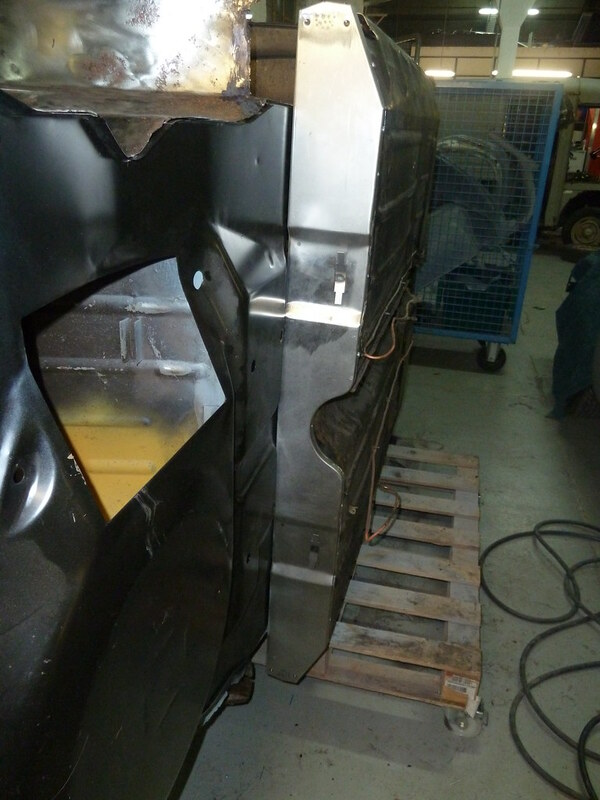 Welding it all in the new year. Feel like a milestone has been reached, minor victory to help raise the spirits.